Daily Debate: Which 2D Zelda Game Could Benefit The Most From A 3D Reimagining? 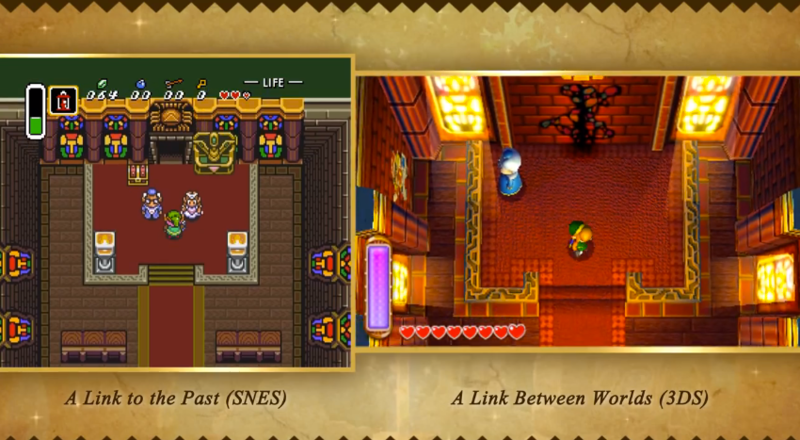 Not content to just remake A Link to the Past with updated visuals, Nintendo put a unique spin on the beloved title with A Link Between Worlds. Even setting aside all of the other new elements that qualify the game as a sequel, simply having the ability to cling to walls as a painting gives the game such a distinct identity. When it comes to “remixing” games, A Link Between Worlds is easily my go-to example. That said, could Nintendo find similar success with other 2D Zelda titles? Back in January, a rumor — and I want to stress that this was a rumor — began circulating that a remake of Link’s Awakening might be in the works for the 3DS. Now, the healthy thing to do is to just remain skeptical and assume this rumor is false until either the big N says otherwise or the evidence supporting this rumor is so overwhelming that the game’s existence can’t be disputed. So far, neither of those have happened. However, those reports at least got me thinking about the prospect. Whether it’s a top-down game with 3D elements like A Link Between Worlds or an Ocarina of Time-esque reimagining, Link’s Awakening could stand to benefit the most from either route. If anything, I’d just love to see a fully realized version of that game’s tropical island setting. When I look at how Pokemon Let’s Go Pikachu/Eevee’s visuals brought the Kanto region over to 3D while still retaining the spirit of the Game Boy classics, I see a ton of potential in Link’s Awakening receiving a similar treatment. What about you, though? Which 2D entry would you most like to see “remixed?” Let us know in the comments below!